SD DVD Players and Discs A place to discuss DVD players and discs including SD movie DVDs with the emphasis on upscaling to 720p/1080i. Please do not discuss Blu-Ray or HD DVD technology here. Then that's the composite output and it should route to a yellow input on your TV with just one lead (two others red/white for the audio). You can get a three lead bundle which includes the two audio if you like. Don't plug anything into the red/green/blue TV inputs. Probably like jkkyler described - you were running the yellow to one of the red/green/blue inputs on your TV. Try yellow to yellow and let us know what happens. If that is already the case, then something else is going on which is producing the B&W picture. Last edited by RBTO; 08-28-2016 at 03:38 PM..
Last edited by richerich; 08-28-2016 at 06:23 PM..
That is the correct input but is that one coming from a YELLOW output on your dvd player? 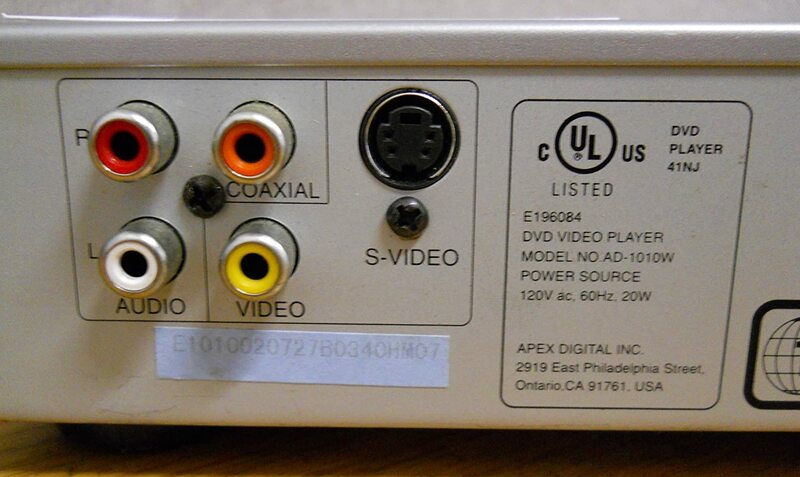 Ok, on that TV the green connection for the component video is used for the A/V input and it sounds like that is what you are connected to from your description. Now you need to select the A/V input not the component input. The newer TVs have eliminated the older A/V inputs as a separate set of jacks for economic reasons and they use the green component jack as double duty, but to tell the TV that you have connected a composite video device to the TV rather than a component video device you have to select the A/V input and not the component input. ImRizzo and oljim like this.